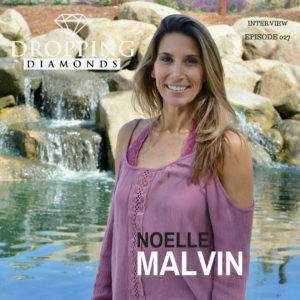 In this Episode, Founder of Infinite Wellness, Noelle Malvin Drops Mad Diamonds. Malvin has been a Health and Wellness Counselor and Transformation Coach for the past 16 years. Noelle has a BA in Psychology and a MA in Counseling and Leadership. Her training also extend into Quantum Physics, Energy Healing, Neuro Linguistic Programming, and Yoga, so you definitely don’t want to miss this episode.